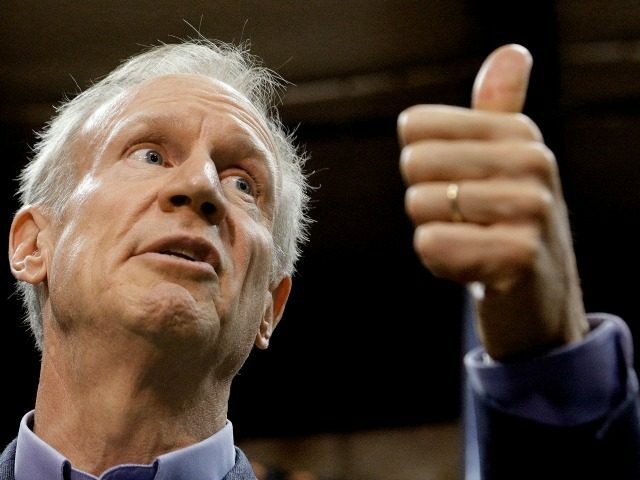 Incumbent Republican Governor Bruce Rauner is the second-most-unpopular governor in the U.S. among those actually running for re-election, according to the Morning Consult Governor Approval Rankings, released Thursday. Rauner has a net approval rating of -24%, with 55% of registered voters in Illinois disapproving of his performance in office. The only governor who is doing worse than Rauner is Alaska’s Bill Walker, who is a political independent. Of the 19 governors running for re-election, ten enjoy positive net approval ratings, meaning Rauner’s poor showing is unusually bad. The ratings were “based on surveys with 253,393 registered voters nationwide conducted online from Oct. 1 through Dec. 31,” according to Morning Consult. The nation’s most popular governor up for re-election is Republican Governor Charlie Baker of Massachusetts, who has a +54% net approval rating. On the Democratic side, the race is “wide open,” according to Greg Hinz of Crain’s Chicago Business. The frontrunner is billionaire J.B. Pritzker, a relative neophyte who enjoys the favor of the state’s Democratic Party establishment. Far-left State Sen. Daniel Biss (D-Evanston) has surged into second place despite an early fiasco when his running mate turned out to be an anti-Israel activist. Chris Kennedy, a son of the late Democratic hero Robert F. Kennedy, is now in third place among Democrats. Ives is considered a long shot, but could win the primary, and would contrast sharply with any of the Democratic candidates. The primary for both parties is Mar. 20.